Finding replacement parts can be frustrating and across the entire medical equipment industry the replacement parts pricing is high. It can be especially difficult when the part you need is made by only one manufacturer or is for a discontinued product, and you can't shop around for an alternative. 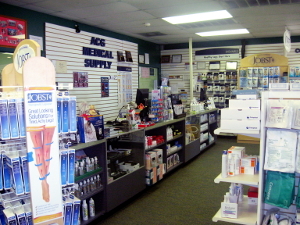 ACG Medical Supply will do our very best to provide you the part you need. Complete the form below. Please include the manufacturer and the model number, or the name of the equipment and a serial number with a description of the part needed. An ACG Service Technician will contact you with information about your request. ACG Medical Supply has certified technicians to repair your equipment. We can come to your house for your convenience. Call us at 1-844-463-0737 or e-mail sales@acgmedical.com for information, service fees, and availability in your area.